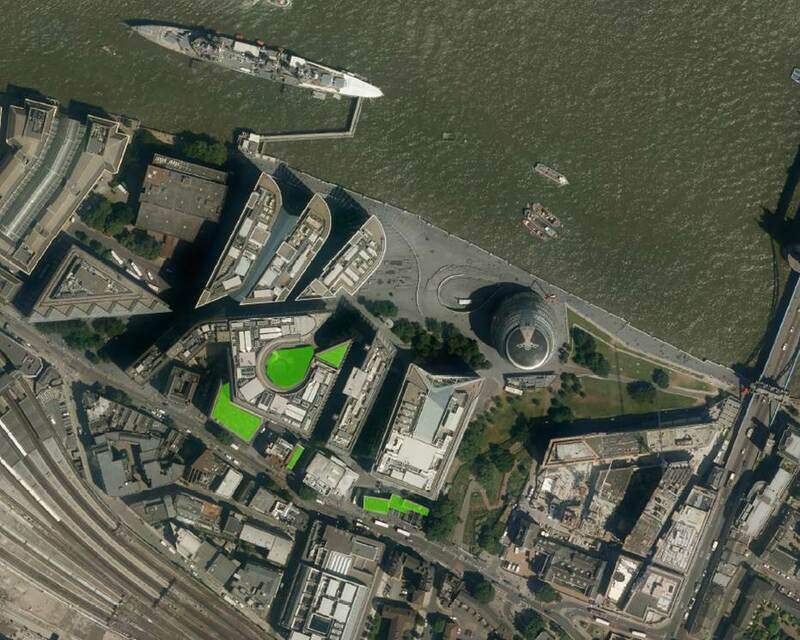 Did you know that London has over seventeen hectares of green roofs? 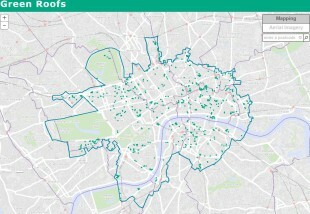 The GLA’s Environment Team recently published a map of almost 700 known green roofs in central London, which shows we have more than 25 football pitches worth. A green or living roof is essentially a vegetated rooftop and they can vary from gardens with deep growing material that can support small trees, to sedum based roofs with low lying planting. Green roofs in London you may be familiar with include Cannon Street Station and 55 Broadway, the home of TfL in Victoria (photo below). 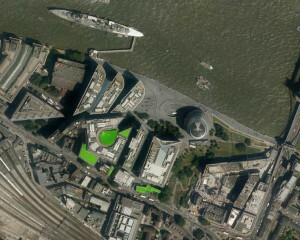 Green roofs offer a number of benefits for London. They can provide habitat and amenity space, areas for food growing and reduce long term roof maintenance costs by protecting the underlying waterproof membranes. They also absorb rainwater to reduce localised flooding and help cool the city during warm periods – increasing the resilience of the urban environment to extreme weather. Indeed, the Mayor’s London Plan target to increase green cover in central London is primarily driven by the urban heat island effect. 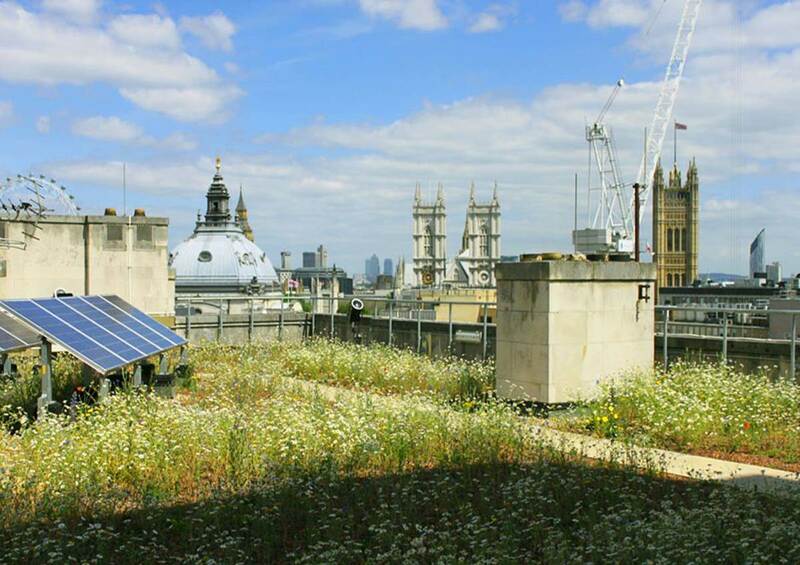 In a highly urbanised area like central London green roofs offer the greatest opportunity for greening, in terms of area of existing rooftops than can be vegetated. 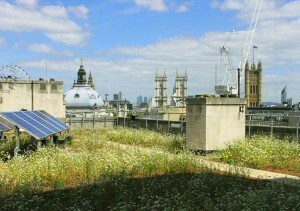 The large number of green roofs in central London is partly a result of strong planning policy, with the Mayor strongly encouraging green roofs and other urban greening measures through his London Plan. The potential for retrofit is also great. Approximately 10% of central London is covered by flat roofs, which are the most straightforward to green and have often been designed to take significant additional weight. We need to do more to retrofit green roofs and other urban greening measures to buildings in London, where they will provide both building scale and neighbourhood scale benefits. The GLA is encouraging such activity through initiatives like Greening the BIDs and helping to broker relationships between those who want to install a green roof and those who have a suitable host building. Please click here to view the map. If you would like to add more information on a green roof, or have even spotted one we have missed, then please do use the feedback process provided. Here are some nearby case studies in the City of London. If you’d like to install a green roof, or planters on your property or terrace, in the first instance please look at the useful links here.